In 2017 Prolight + Sound will once again be the crucial point of the event and AV-media technology industry. The key players from all of the industry’s fields have announced their participation in the event taking place April 4-7, 2017 – over 90 percent of the exhibition space used the previous year has been booked. 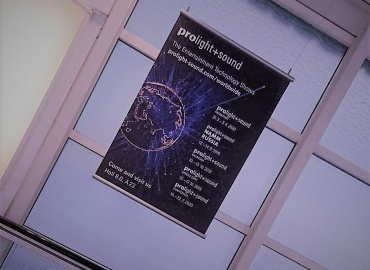 Prolight + Sound – High Relevance! Prolight + Sound is divided into areas of Audio + Sound (Hall 3.1, Hall 4.1), Light + Stage (Hall 3.0), Light + Multimedia (Hall 4.0), Light + Entertainment (Halle 5.0) as well as Education + Associations (Forum). In addition, the open area offers the possibility for demonstrating innovations under open-air conditions. The Concert Sound Area, presenting public address systems in action, is located centrally in the Agora in 2107, in the middle of the east grounds – the Live Sound Area near the entrance to the city also presents mobile PA systems as well as mobile stages, tent systems and LED walls. Then there’s its own brochure for “special interest” product groups, giving a summarizing overview for all the respective segments. 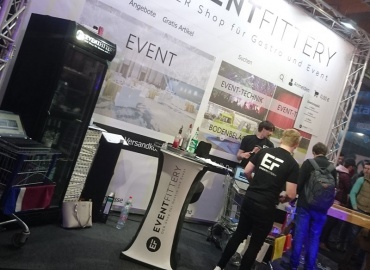 These ‘quickfinders’ are available for the product groups “Broadcast, Production & Recording,” “Stage & Theatre,” “Media Technology & System Integration” as well as “Event & Congress”. Since 2002, the Opus – German Stage prize has been awarded to achievements in lighting design, technical realization, stage and scene design and production. The new guidelines in 2017 provided for the awarding of individual and team achievements.